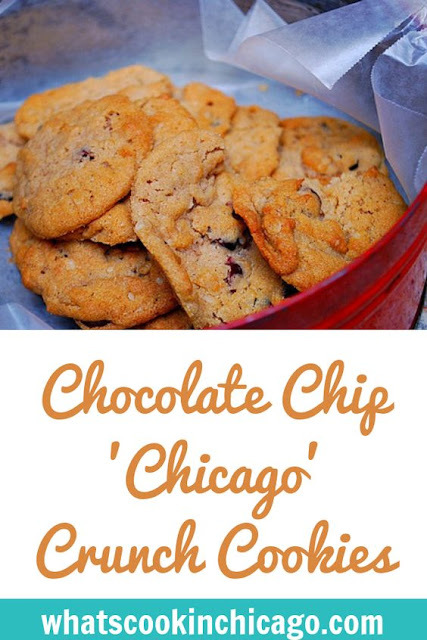 These cookies are definitely going on my holiday list to make every year. What's great about them is that they are versatile so you can substitute other ingredients to mix in. It makes for a good base recipe for drop cookies and the batter also freezes well too. For the holidays, make the dough and portion out into balls then freeze. 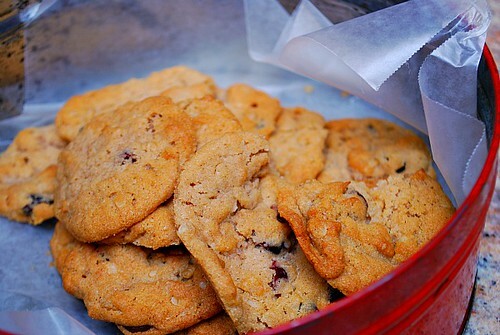 You can bake the cookies as you need them so fresh baked cookies are easier to make anytime you want them! Beat together butter, margarine, both sugars, egg, milk and vanilla. Combine the flour, cinnamon, salt and baking soda in another bowl. Add dry ingredients alternately with oil to the creamed mixture, ending with dry. Stir in crushed cornflakes, oats, chocolate and nuts. Drop with small or medium scoop onto parchment lined sheets. Bake in preheated oven for 15-18 minutes depending on size.